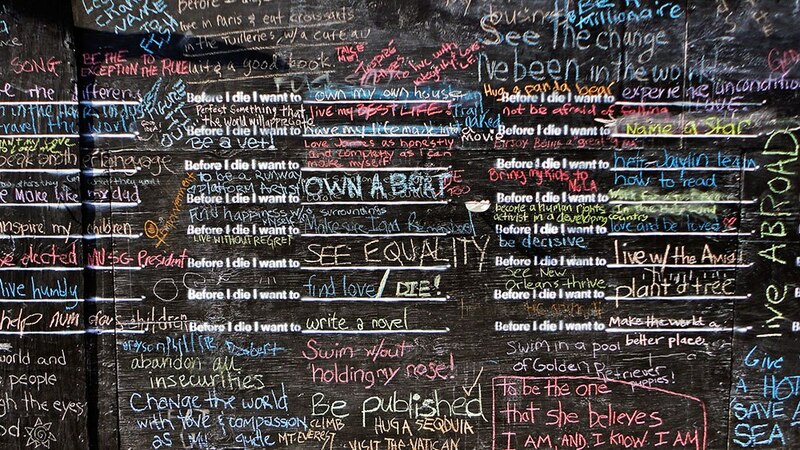 Before I Die is a global art project that invites people to reﬂect on their lives. We are erecting a wall in Penola for the Arts Festival. Come to the centre of town, grab a coﬀee and write… ” what YOU want to do before you die…”. Today there are over 2,000 walls around the world across 76 countries. Each wall is created by local residents who want to make a space in their community to restore perspective and share more with one another. Each wall is a tribute to living an examined life. Artist Candy Chang and writer James A. Reeves have developed this project to examine our common anxieties, contemplate mortality, and better understand what it means to be human.